Do you like context-sensitive action bars? 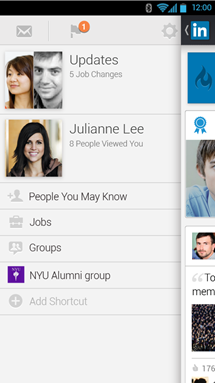 Slide-out navigation menus? Cards? 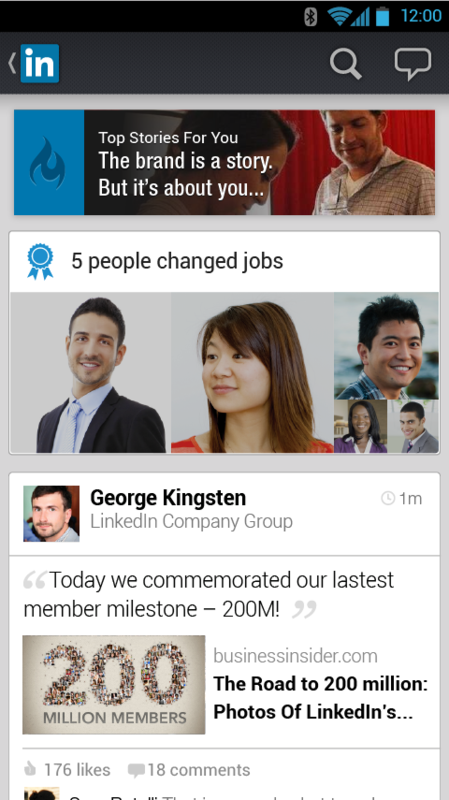 Well, LinkedIn's Android app just got a pretty significant UI refresh today, and it has all of those things. The app was undeniably in need of a facelift, and this new update looks pretty fantastic to my eyes. 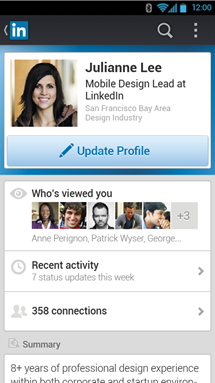 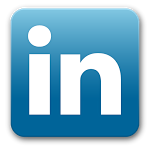 Looks aside, version 3.0 of LinkedIn for Android adds a slew of new update stream features that were sorely lacking in previous versions - you can now invite, follow, like, share, and comment on update stream content directly from the feed.